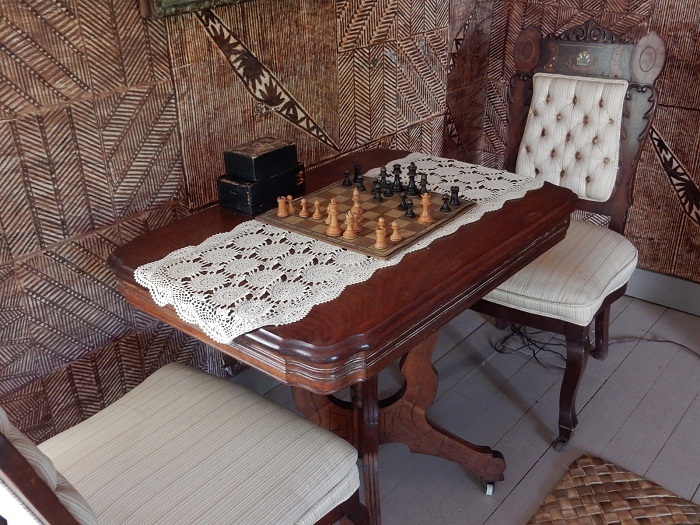 The Robert Louis Stevenson Museum is the former residence of the Scottish novelist, poet, essayist, musician and travel writer, Robert Louis Stevenson, which nowadays serves as a museum dedicated to his life, and it is located in the southern part of the capital city of the Independent State of Samoa, Apia. As he was born in Edinburgh, throughout his life there, he was stricken with tuberculosis which made him to seek for a warmer climate somewhere in the South Pacific. 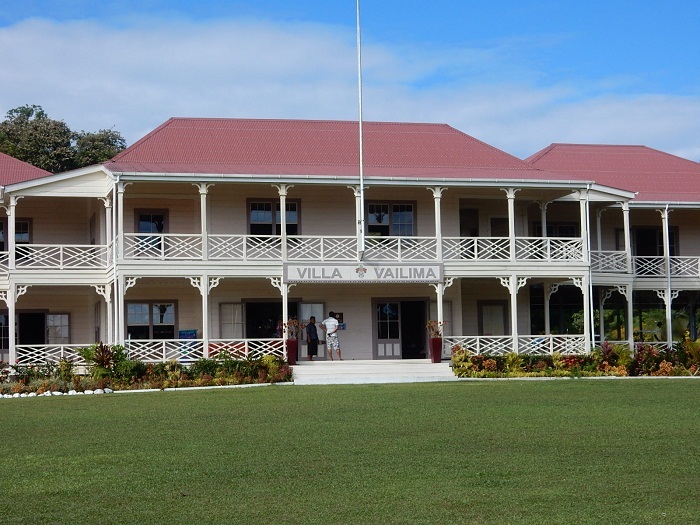 In order for his poor health to be eased with the much warmer climate, he together with his wife Fanny decided to move to Samoa in 1889, where they bought 127 hectares (314 acres) of virgin land on the slopes of Mount Vaea, in the vicinity of the capital city. 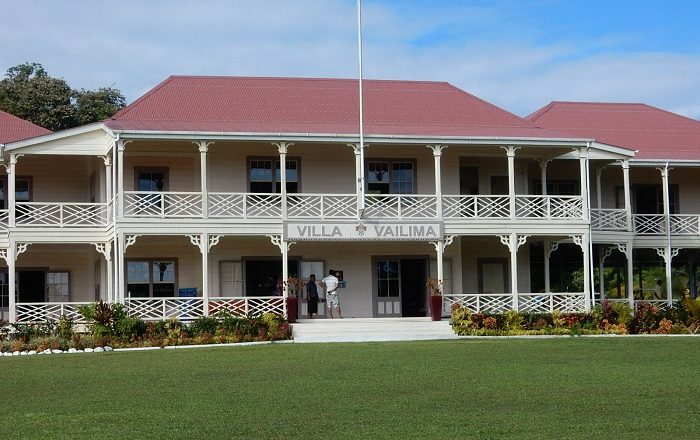 They named their estate Vailima, better known as Five Waters, due to the five streams that crossed the property. 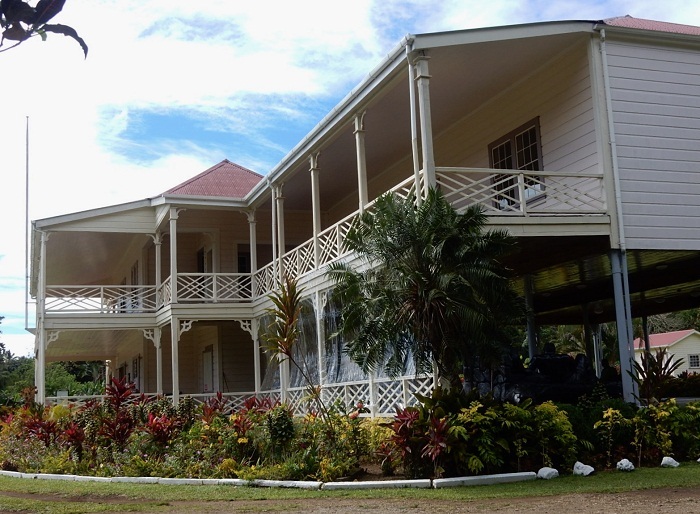 At first, they lived in a small shack for nearly a year, and with the help of the US historian, Henry Adams, in 1891 the first part of the mansion we see nowadays has been built. 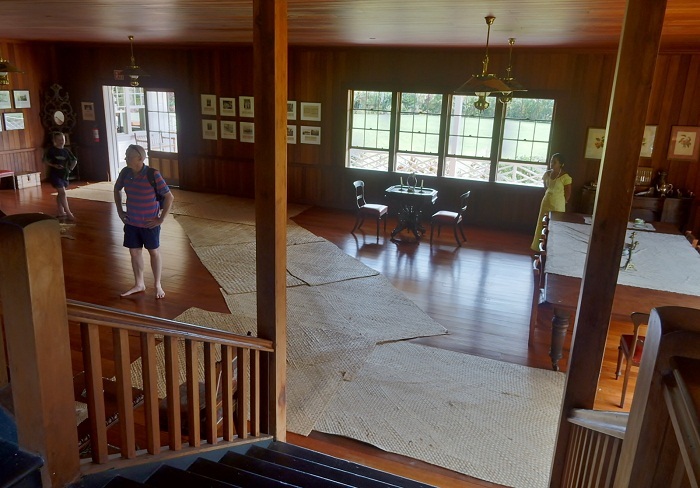 Later when it was finally completed, big house had five bedrooms, a library, a ballroom for up to 100 dancers, and among the most interesting features was the fireplace, which was the single one at that time in Samoa. The family fortunately shipped some 72 tonnes of furniture from the UK, in order for this grandiose mansion to be filled properly for the family to live a good life. 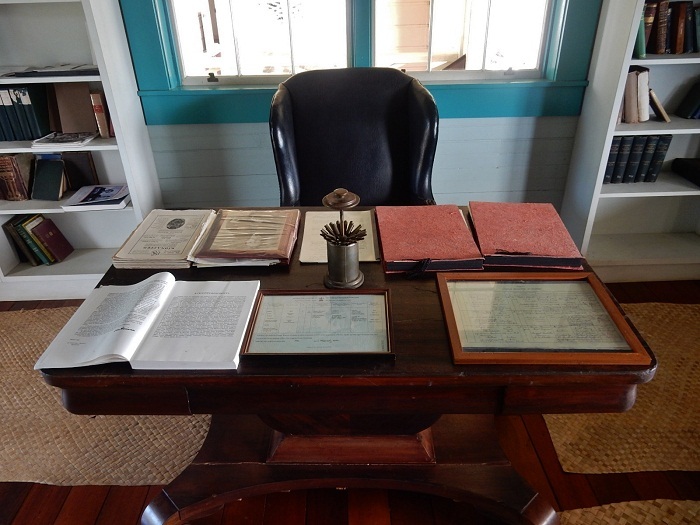 Due to the many positive interactions the Stevenson family had with the local community, they became more popular, as well as well respected figures, especially Robert L. Stevenson. 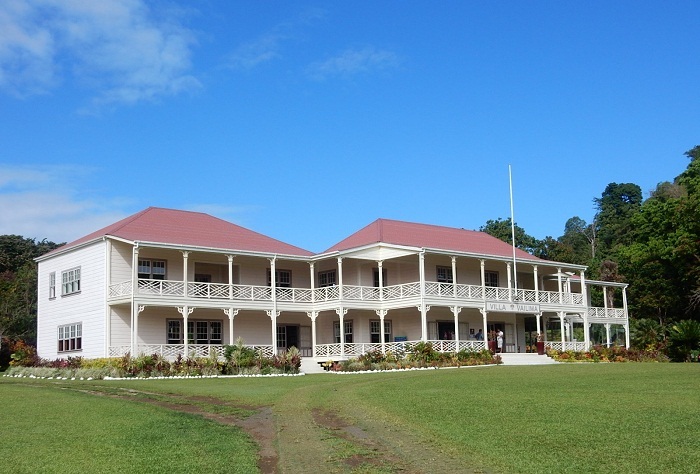 Unfortunately, he passed away on 3 December 1894, where his colleagues and people who worked for him, buried him on the Mount Vaea which is located within the property, at a spot that overlooks the sea. 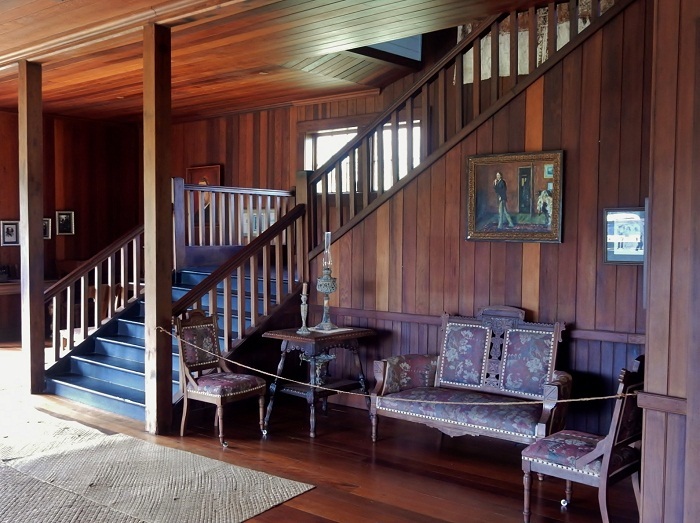 At the beginning of 20 century, Samoa’s head of state used the property as their official mansion, until 1990 when the Stevenson’s homestead was severely damaged by hurricanes, which made Samoa’s officials to move to another location. After that, a heavy renovation was carried out in order for the house to be brought back to the closest original state it had previously. 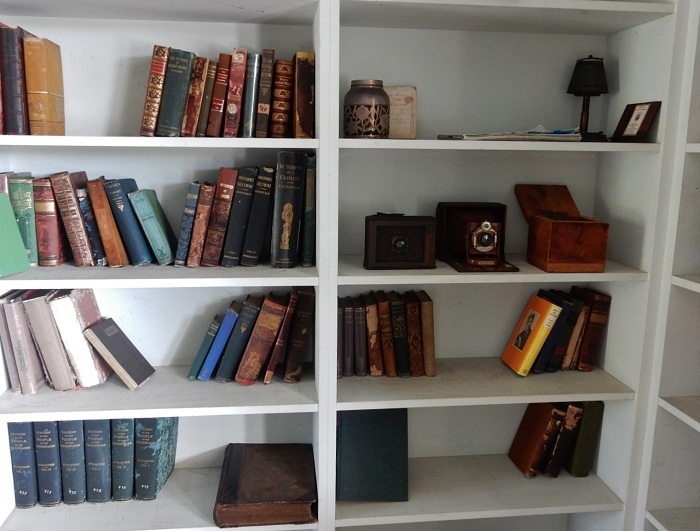 With every effort put in the even smallest details to historical data in order to replicate furnishings and other artifacts from the original owners, there are period antiques which were chosen and placed according to photos and other descriptions from letters, biographies, etc. 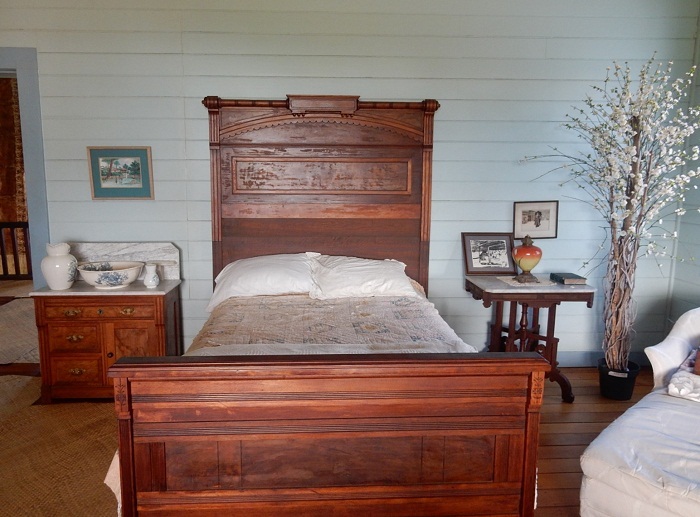 Interesting fact was, if a furniture could not be duplicated or found in its original state, the individual items would have been chosen because of the time period in which they were made, where most of them came from Europe or were manufactured to represent furniture that was in the home during the Stevenson years. 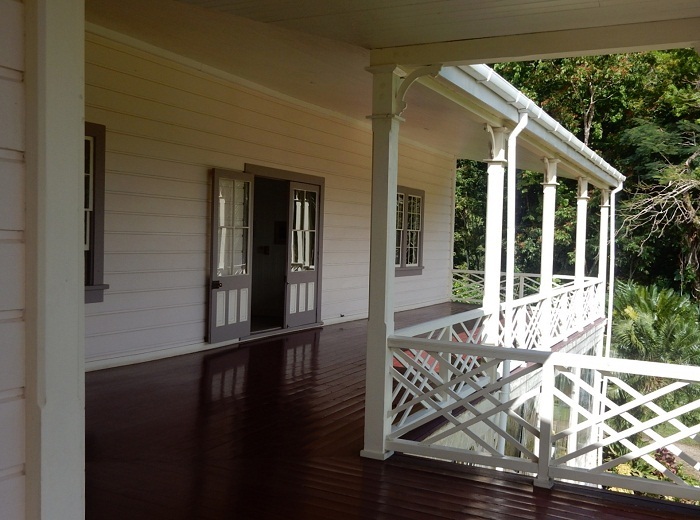 The condition in which the Robert Louis Stevenson Museum can be found nowadays is well kept, where all of its facilities are in very good condition. 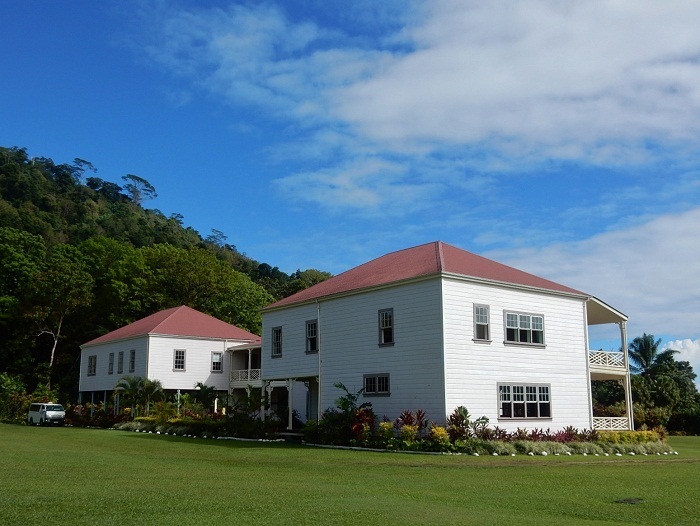 There are even Botanical Gardens that surround the mansion as well, in order for the visitors to enjoy the pretty nature as the Stevenson family once did, nonetheless, with the panoramic views over the city of Apia in addition to the bay, this museum will certainly give an unique experience to the admirers of Robert L. Stevenson’s work.